In this witty and revealing polemic, journalist Daniel Brook argues that the exploding income gap—a product of the conservative ascendance—is systematically dismantling the American dream, as debt-laden, well-educated young people are torn between their passions and the pressure to earn six-figure incomes. Daniel Brook is a journalist whose writing has appeared in Harper’s, Dissent, The San Francisco Chronicle, and The Boston Globe, among other publications. Brook was a finalist in the 2003 Livingston Awards for Young Journalists and won the 2000 Rolling Stone College Journalist Competition while a student at Yale. 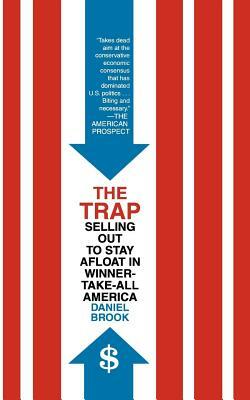 He is the author of The Trap: Selling Out to Stay Afloat in Winner-Take-All America. He lives in Philadelphia.